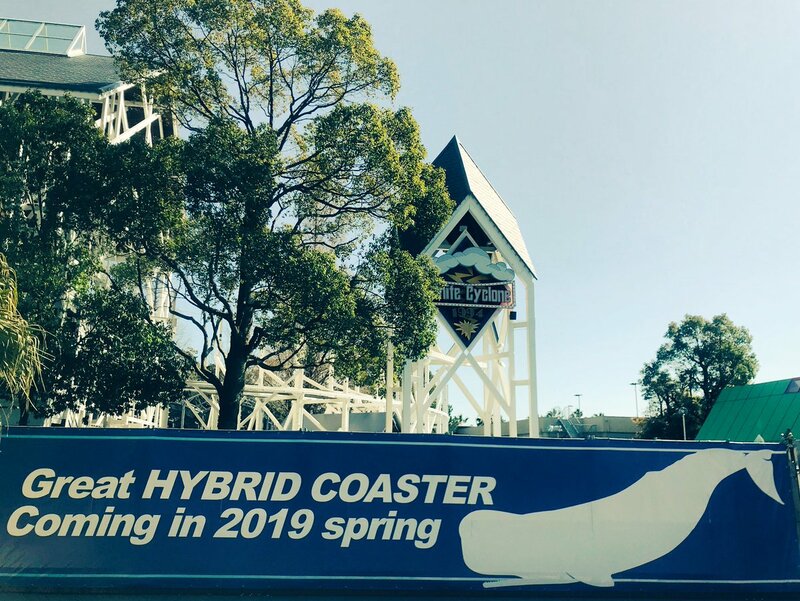 Nagashima Spa Land 2019 - Hakugei: RMC White Cyclone : Theme Park News & Construction! 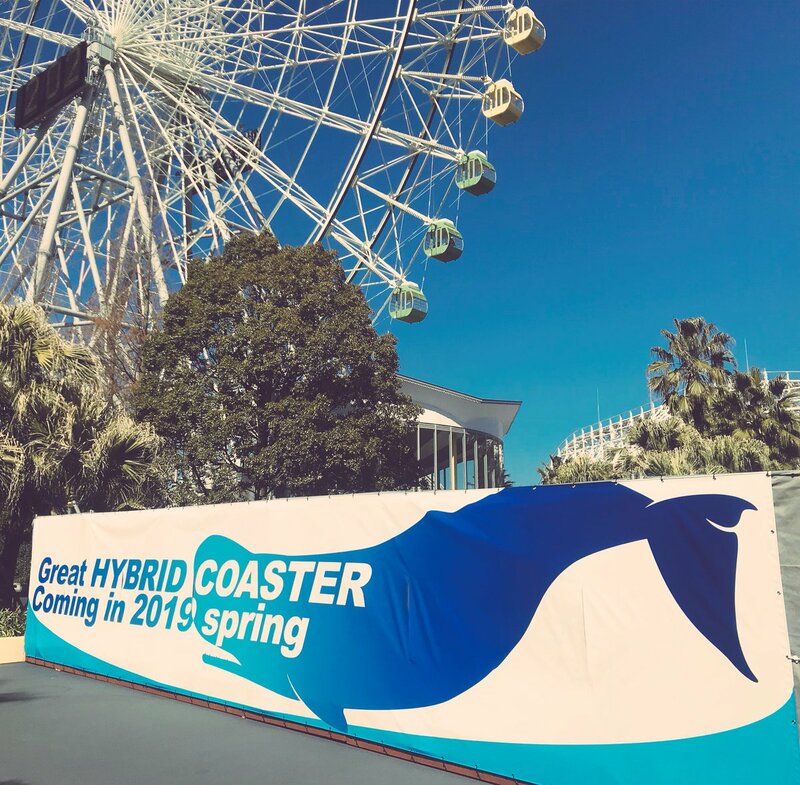 Nagashima Spa Land in Japan has announced that White Cyclone will be closing on January 28th, 2018 for renewal work that will last until the Spring of 2019. RMC did say they had a project in Japan in an interview earlier this year. Perhaps the park is trying to outdo Cedar Point again just as they did with Steel Dragon 2000. Also, according to RCDB the ride is getting the Iron Horse treatment, but have offered no proof to back up this claim so as of now RMC is only a rumor. this would be one interesting RMC if that was te case. If I recall this thing is pretty big (130ish ft), so RMC could do a ton with the layout if they kill the helices and just make it a double out and back. Also the large flat turn before the drop can be used to tack on some extra height or make an Outlaw Run style drop. That's funny, I was watching a POV of this two days ago thinking RMC could trill it up a ton if they got the chance. Let's hope they do because that's a crap ton of structure to go to waste. If done with the same kind of budget as Steel Vengeance, I honestly think White Cyclone has more i-box potential than Mean Streak did. Probably the only existing wooden coaster that can be said about. I've been seriously thinking about a Fall 2019 Japan trip and those thoughts just got even more serious. They definitely wouldn't have to deviate much from the structure on this one and could just kill one of the helices. If they do manage to give this an Iron Horse treatment I hope they will keep the layout as much as possible intact. That wooden structure is just amazing in general. Any sign of major change would mean a decrease in wood density. I imagine that a lot of that supportwork is due to the park being earthquake prone? I don't imagine they'd be able to get away with removing too much of the structure without comprimising its stability in that state? The ride is closing today so the park posted a final POV! The description also confirms that the ride will reopen as a hybrid next Spring. Can't wait to see the new layout! I wonder if it'll look like Twisted Colossus and be half the height lol. MUST GO TO JAPAN! Pretty surprised that it took this long for an RMC to come to Asia (it's been nearly 7 years since NTXG!). Can't wait to see what kind of awesomeness they come up with for this one! This is primed for a rolling drop I think, hopefully some straight up airtime hills too! Personally I still think this is too bad for being turned into an RMC. It was still running quite good and fast, even though it slowly becomes rougher. But that could have easily been fixed with some good TLC. I'm really curious off the layout this is being turned into. I really hope it somehow will keep it's massive iconic white structure. But I'm afraid RMC is going to axe all that. I'm not so sure, this ride will have to be earthquake proof right? I feel like if they tear down a bunch of the structure they're going to have to replace a huge amount of it anyway. Colossus retained a fair amount and it's in a similarly seismically active region. Yeah, but California coasters also don't have constants catwalks, which is good! This is because the entire track is walked every morning as part of routine maintenance and inspection. You'll find this on pretty much all traditional laminated ply woodies. I thought that might be a possibility haha, kinda suprising that you wouldn't know that.